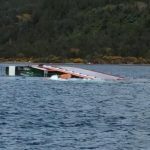 On October 18, the 69.5 meter long, 2494 dwt fish carrier Seikongen capsized and sank near Puerto Montt, Chile. The Seikongen loaded with 200 kilos of salmon bound for Chonchi when it suffered water ingress in the bow. 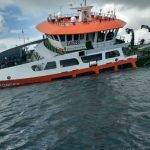 Even though the Seikongen was nearly brand new, the fish carrier’s pumps were unable to control the flooding. To avoid sinking, the master of the Seikongen changed course for the closest shallow water. 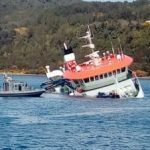 The Seikongen was able to run aground and it looked if the vessel would avoid sinking. 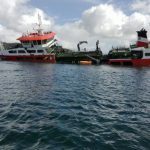 However, the flooding continued causing the vessel to lose stability and develop a list to starboard. 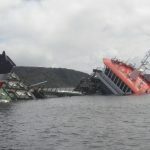 A short time later the vessel rolled over onto its side and sank just below the surface. 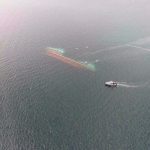 Reports state the 11 crew on board the Seikongen were safely evacuated before the vessel sank. Authorities deployed booms around the wreck in hopes to contain any pollution released. The Seikongen had some 67,000 litres of fuel on board at the time. 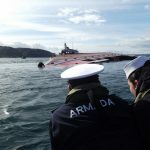 Chilean Navy divers have inspected the hull and report no fuel leaks. 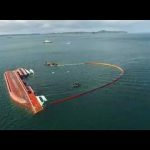 Authorities have also stated the cargo of 37,000 salmon have most likely perished in the holds and would be left in the sealed holds to avoid damaging the environment. 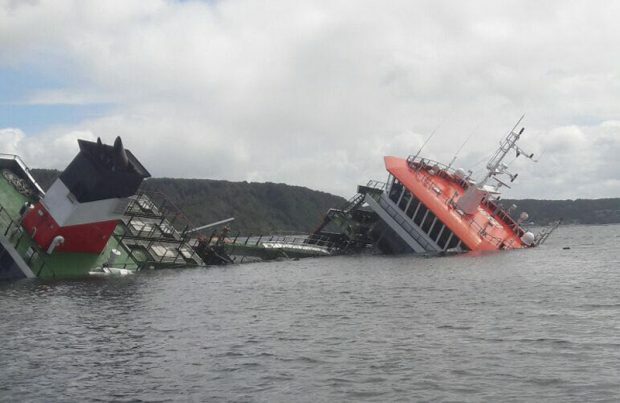 The owners of the Seikongen are coordinating salvage efforts with Chilean authorities. Authorities have launched an investigation into the incident.